Famed for the rich cultural heritage and scenic beauty, Andhra Pradesh tourism offers visual treat where travellers can continuously explore and take delight in it. 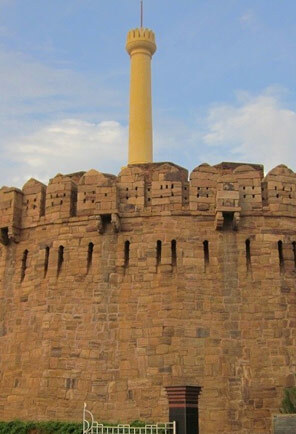 On visiting Andhra Pradesh, tourists can choose to explore from a varied option including magnificent historical monuments, the beautiful hill station, natural caves, beautiful architecture temples, churches, mosques and many sacred pilgrimage shrines. 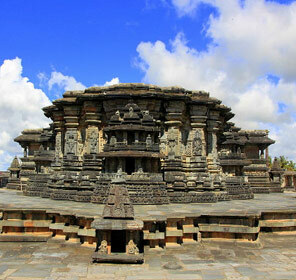 To get the in-depth knowledge of this one popular travel destination of South India, Andhra Pradesh Travel Guide will cover the spiritual definition profuse natural splendours and remarkable culture of the state and let the tourists get an unforgetting travel experience while holidaying in Andhra Pradesh. The winter season between October and February is the best time to plan a trip to Andhra Pradesh as the temperature remains cool and pleasant. A trip to Andhra Pradesh can also be planned during the monsoon season as some of the hill stations could be best enjoyed at its verdant best. However, the state in summer season remains hot and humid, but tourists who don’t mind the scorching heat of the sun can make it to Andhra Pradesh. For visiting the magnificent temples, churches, mosque, pristine nature, art and craft, rich culture, monuments, museums, dance, music, fairs and festivals, beaches, food, heritage tour and shopping. Showcasing a rich cultural fusion, Andhra Pradesh is recognized widely for its legendary dynasties, the revered temple Tirupati, the beautiful language Telugu, rich literature and of course for the vibrant Kuchipudi dance. On visiting Andhra Pradesh, tourists will get the opportunity to come across a number of best places to visit and things to do that might make one wonder where to begin exploring from. Heading to take the pilgrimage tour, Andhra Pradesh boasts of a number of temples out of which the important ones in state stands out to be Kanaka Durga Temple of Vijayawada, Mallikarjuna Jyotirlinga in Srisailam, Mahanandi Temple and Yaganti Temple in the Kurnool District, Veerabhadra Temple in Lepakshi, Goddess Alamelumanga Temple and Tirumala Venkateswara Swamy Temple in Tirupati, Paritala Anjaneya Temple in the village of Partiala which is popular for the tallest statue of Lord Hanuman in the world, Varaha Lakshmi Narasimha Temple in Visakhapatnam, Vinayak Temple in Kanipakam, Madhavaraya Swamy Temple in Gandikota. Moving ahead to the museums of Andhra Pradesh which is yet another point of tourist interest represents the diverse culture. 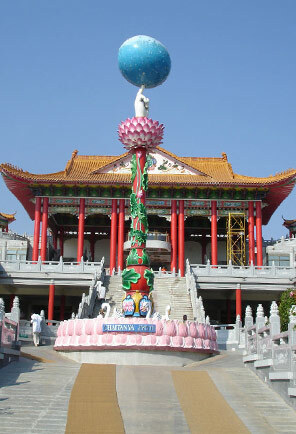 A visit to these museums will provide the tourists with valuable insights into the history of the place that houses an impressive selection of sculptures, paintings and various other artefacts. Of all the museums of Andhra Pradesh, the must visit is the Salar Jung Museum in Hyderabad which has a prestigious distinction of being the world’s largest one-man collections of the world. The other museums in the state include INS Kurusura Submarine Museum in Visakhapatnam, Amravati Archaeological Museum in Amravati, AP State Museum and Birla Planetarium and Science Museum in Hyderabad and more. The state even boasts of some of the beach destinations that offers an enthralling experience to the tourists. 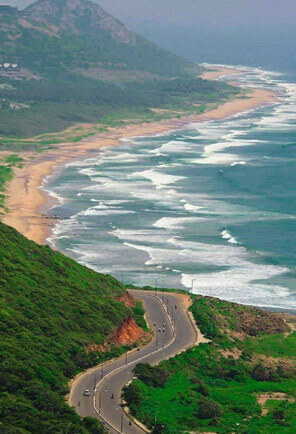 A beach holiday in Andhra Pradesh ensures relaxation and peace of mind. The popular beaches of Andhra Pradesh which also make a make a perfect honeymoon destination includes Manginapudi Beach in Machilipatnam, Mypad Beach in Mypadu Village, Ramakrishna Beach and Rishikonda in Visakhapatnam, Vodarevu Beach in Prakasam District. With gaining tremendous prestige, Andhra Pradesh has shown a brilliant contribution to the culture which is depicted in the art, craft, fairs and festivals. The art of Andhra Pradesh includes the Kuchipudi, which is delightful dance, the Peacock Dance which is performed by the Khonds tribe, the Perodi Dance which is accompanied with flute and bells and the Mango Dance which is performed by the tribal people residing in the Bison Hills. The craft of Andhra Pradesh includes Hyderabadi Pearl that comes with a variety of designs. The Metal work in Andhra Pradesh which is mostly used in designing bells is popular across the globe. Out of all the other, the most important is the hand knitted carpets which are popular for the rich designs. 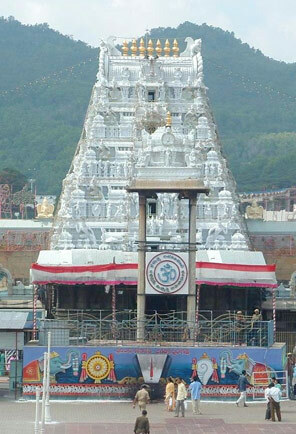 Not to forget, the Brass Icon of Nataraja Tirupati stands out to be the emblem of the state. Other than these, the Kalamkari Painting, Buffalo Hide Puppets, Ikat Garments, Stone Studded Elephant, Buddhist Nirmal Paintings, Folk Painting and Wooden Carvings are a true collection of beautiful crafts designed by skilled artisans. 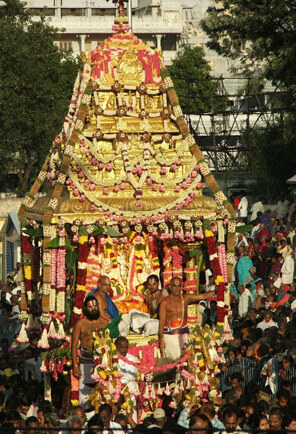 The festivals of Andhra Pradesh are a part of the heritage of the state with some temple fairs including the Brahmotsavam at Tirupati and the Sri Rama Navami Festival at Bhadrachalam. 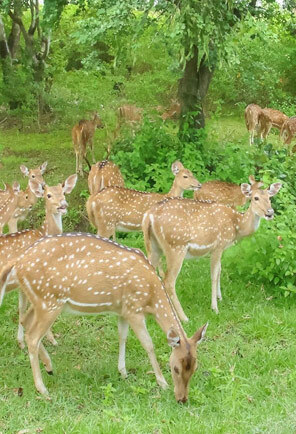 The other festivals in the state include Deccan Festival, Lumbini Festival and Ugadi Festival. Often called the ‘food bowl of the south’, Andhra Pradesh let the tourists experience an unforgettable treat to the taste buds with a variety of cuisines. The hot and spicy dishes remain the speciality of the region with a blend of both Hindu and Muslim style of cooking. Rice with Sambar being the staple food of Andhra Pradesh there are some other delicacies that tourists can enjoy, this includes Pulihora, Avakkya, Upma and Bagara Baingan. The must-try desserts of Andhra Pradesh include Double-ka-Meetha, Dil-e-Firdaus and Ande-ka-Piyosi. Last but not the least, tourist will get a delightful experience by shopping in Andhra Pradesh as the state has to offer exclusive jewellery, the handicrafts, the silver artwork, exquisite weaving, wooden as well as brass carvings. 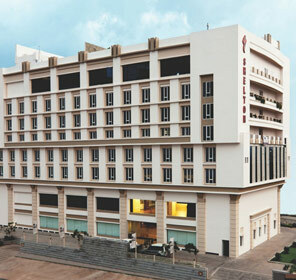 The Laad Market in Hyderabad is the important one where one can purchase the popular handicrafts. 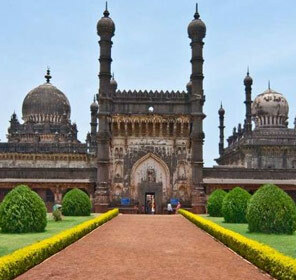 There are many other popular things to do and see in the state which is assisted to the tourists by Tour My India with the best tourism packages for Andhra Pradesh. Also, the travel guide proffered by us comprises of all the information related to places to visit, things to do and shop, places to eat and how to reach. Information on varied Andhra Pradesh tour packages is curated so that tourists can choose according to their needs and preferences. Being a prominent tourism destination in Southern India, Andhra Pradesh is excelling in offering warm hospitality to the tourists. 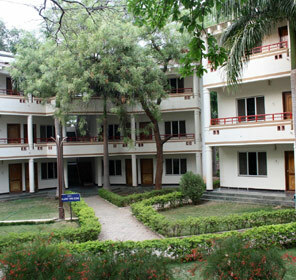 There are a number of accommodation options in the state which makes it an ideal destination for the travellers of all kind. 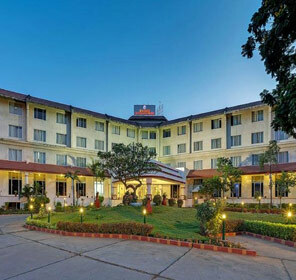 With luxury to mid-range and budget hotels, Andhra Pradesh offers some of best accommodation options in Tirupati, Vizag, Vijayawada, Bheemili, Tenali on one side and then offer incredible guesthouse and resort options in some of the offbeat and hill stations destinations on the other side. 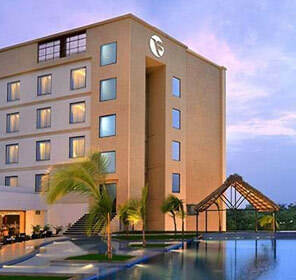 No matter where the tourists choose to stay, the hotels and resorts in Andhra Pradesh are sure to cater to all the needs and preferences making holidays in the state a wonderful one. 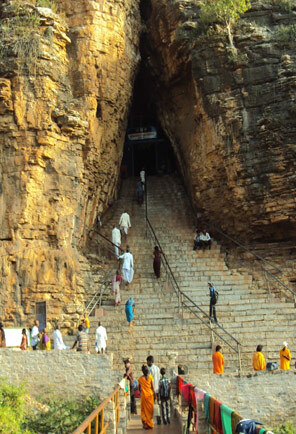 Andhra Pradesh’s main tourist attraction remains the sacred pilgrimage places that bless the land abundantly. The popular South Indian state is an incredible tourism place which houses a number of top tourist attraction that will leave one spellbound and travel back to the bygone era. 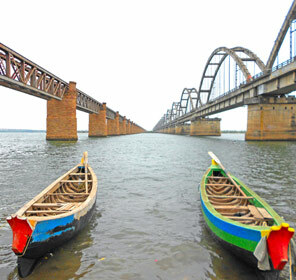 Not only this, but the tourist attractions of Andhra Pradesh will also let one explore the rich heritage. 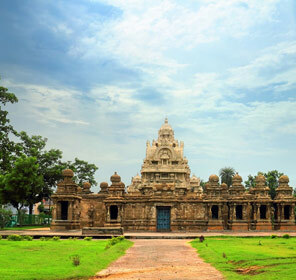 Renowned for the splendid temples and other pilgrimage sites, Andhra Pradesh has a number of things for the tourists that make a vacation in the state a memorable one. From exploring the beaches, museums, temples, caves, parks, forts to simply relaxing in the tranquil atmosphere of the hills stations, the state offers the tourists an incredible experience to the travellers of all genre. Whether it is a honeymoon holiday, family vacation or solo venture, tourists will make get an unforgettable travel experience in Andhra Pradesh. Other than this, travellers can even indulge in some of the outdoor activities including angling, gold and parasailing and more.